From the sugar frosting snow-laden roof to the gum-drop shrubs this cute little Christmas gingerbread house is sure to be a hit. A complete pattern and instructions are available below. 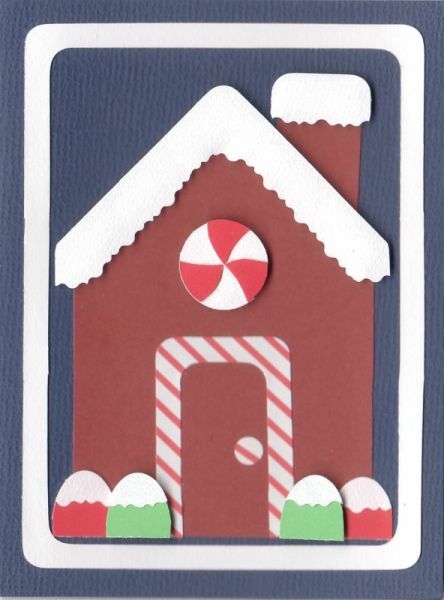 This is a fun card to have older children put together. Navy blue card blank 4.5" x 6"